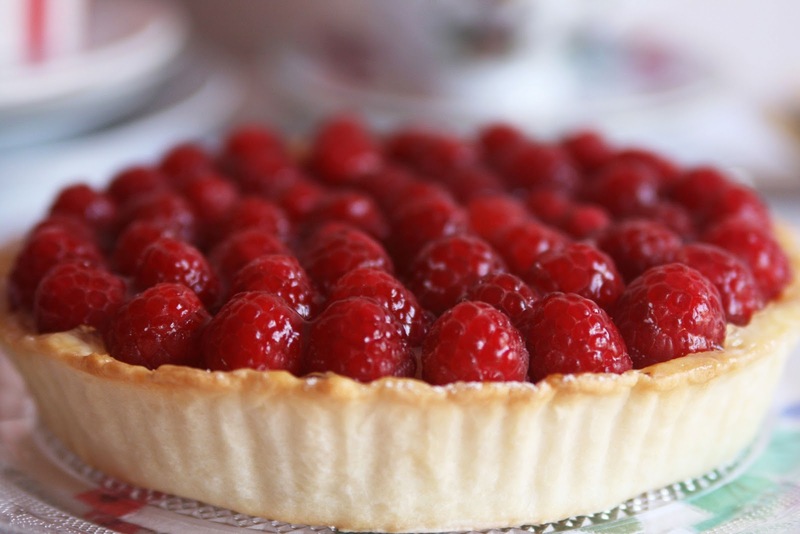 This raspberry tart it's a quick one! But delicious and really eye-catching nonetheless. 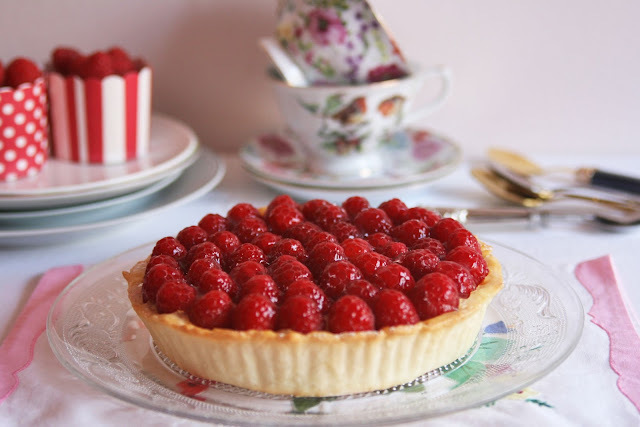 Fruity tarts and pies are perfect for the spring/summer season and even better when you use fresh berries like I did cause it makes your cake more juicy and the raspberries give a cool tangy touch to the very sweet cinnamon custard, which makes for a good combination. 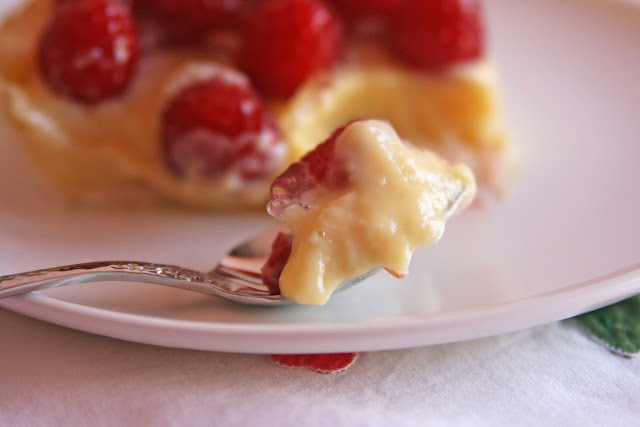 The custard is very similar to the french crème pâtissière (or french pastry cream) but the one I made is very traditional in Catalonia. I've said it's a quick (and easy) récipe because I used a prepared short crust pastry but you can always make it at home and I'm sure it'll taste even better! Fresh short crust pastry sheet. Optional: confectioner's sugar or 1 gelatine sachet. Preheat oven to 200ºC (392ºF). Roll out the short crust pastry, place the dough in the tart pan. 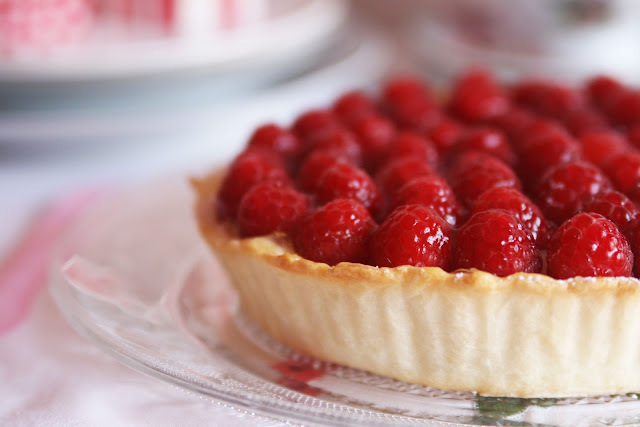 Using your fingers spread the dough and press it evenly all over the inside of the tart pan. Trim any excess pastry and blind bake for around 20 minutes, until cooked and golden. Carefully remove the pastry case from the tin and cool on a wire rack. Meanwhile we start making the cinnamon custard. In a large saucepan, bring the milk, lemon peel and cinnamon stick to a boil so the milk absorbs the scent of the lemon and cinnamon. Set aside. In another mixing bowl, beat the egg yolks with the sugar until pale and fluffy. Gradually add in the cornstarch. Strain the hot milk and add it to the egg/sugar mixture, stirring constantly until all ingredients are well combined. Heat the mixture, don't stop stirring (this step is really important) and quickly remove from the heat once the custard becomes slightly thick. You can keep stirring a bit more away from the heat because the custard will become thicker with the remaining heat in the saucepan. Cover the saucepan with plastic wrap pressed down right on the custard to prevent skin forming. Set aside and let it cool completely. Once the custard is cool fill the pastry case with it and spread evenly on top. Put the fresh raspberries. 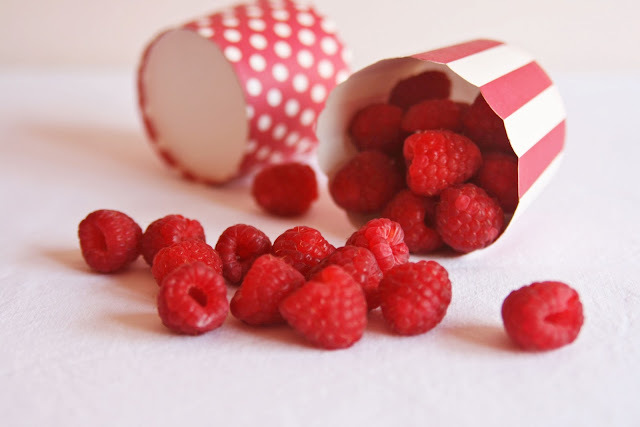 Brush the berries with gelatine or dust with icing sugar to decorate. La mezcla de crema y frutos ácidos siempre me ha gustado. Buen finde. How does to cook the crust? Hello! For this cake I bought an already prepared crust but I'm sure if you make it at home you'll get a more yummy cake. 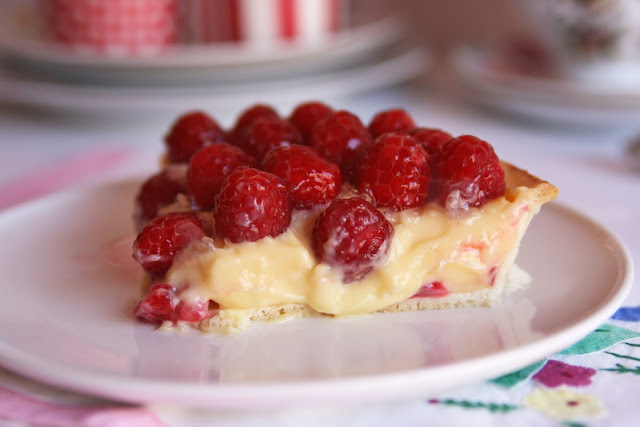 I will soon publish a new recipe with homemade short crust! 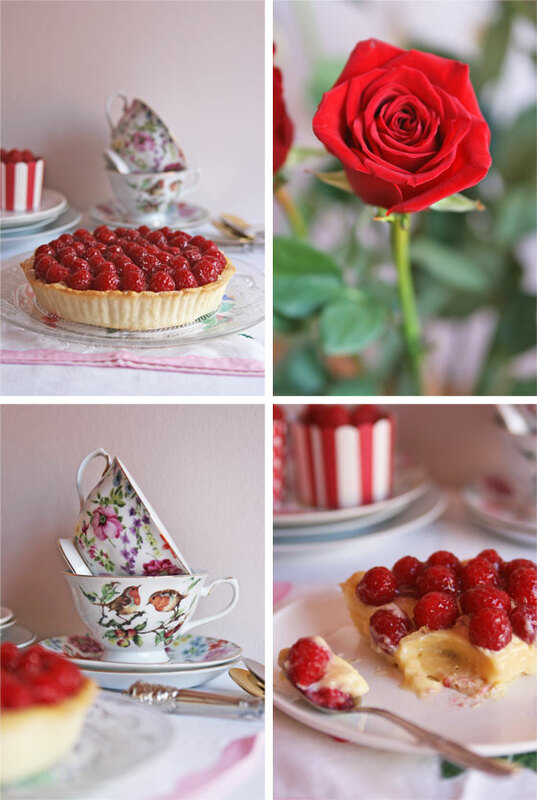 Gemma - Recipe developer, photographer and blogger living in Barcelona. Copyright © Gemma González, 2011-2018. Tema Sencillo. Con la tecnología de Blogger.